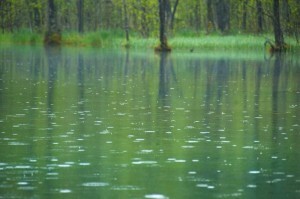 A rain empties itself out drop by drop. Only the voice of a trickle, a long-drawn draining -perhaps from a sunshade or a terrace from the neighbourhood – remains in the ears. I see the thin strand of water penciling down in the dark, jiggling on the surface and finally feathering away into concentric circles in a puddle. The last drops of a night-rain are the most painful, for their voice with their hard edges fall like glass shards, too directly on wounds, wounds cherished from childhood, wounds sweeter to indulge in, wounds which are more like cultivated itches I like to scratch with abandon in the darkness or when no one else looks. Next time listen to the last notes of rain in silence and in solitude. You’d know. Come rain, shower yourself empty. Ah, my heart has already flown to the washed woods far away, their canopies toweled by the breeze, the leaves crisp with vestiges of luxuriant baths. The monsoon has returned, it has come and gone. 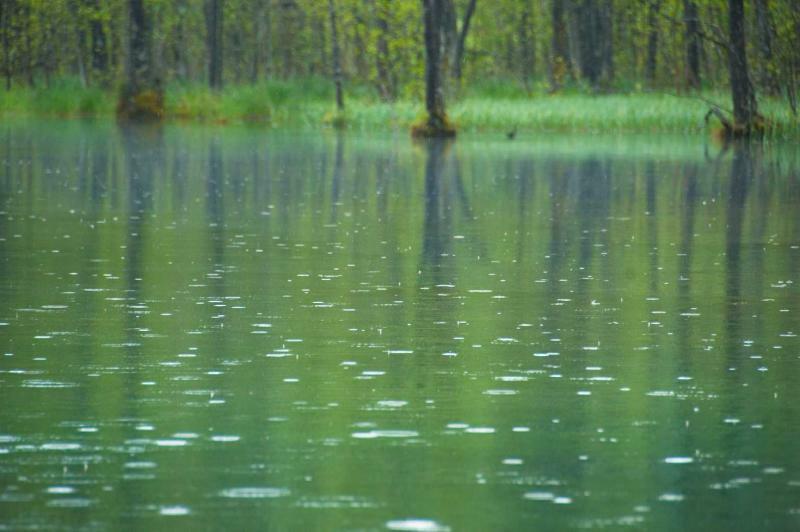 What would be the woods like after the rain! Next time in the wood I’d see if I could go like a snail to watch a different kind of forest growing before my stalked eyes. Yes!!! For one time, I will miss the wood for the moss. You heard it right, Moss indeed! I am talking about that green mat you might have watched on the rings of a well, or on a flight of dilapidated stairs that climb to the padlocked gates of an ancient temple or on your school wall just after a rain. All my life my sloppy legs trampled them on the forest floor while I walked with a head held high to converse with trees and mountains and higher philosophies. I was a traveler to taller things. Not anymore. This time, I would go only to fall on my knees, and to lie down on the ground, pressing my cheek on the forest floor until it gets hurt, only to watch a clump of moss grow at least a nanometer. Open sesame! I want to see whether my artless eyes could tell a single moss plant apart from a rug of green. A week ago before the rain, this patch of luxuriant moss was tedious mess, beaten by the drought, desiccated by wind, taken for dead. Then one afternoon it suddenly turned dark inside the woods. Thunder rolled. It was as if something mythical was going to happen, perhaps a fairy was going to be born and every cell in the forest pulsated with ecstatic disquiet. A few moments of silence, then all heaven broke loose as one thick sheet of water plonked down on the ground pitching all life forms inside the woods into a dizzy. That was the day of resurrection but only to those who survived the first lash of a furious rain. Those who held their ground and kick-started their rusted engines to sudden ecstasy entered the next phase of life. The scum got washed away. The meek mosses, even without proper roots, were among the ones who stayed. How could they just go but it was for this moment they had been waiting for long in the shades with all their internal systems shut down. Mosses indulge wildly in rain, something that is quite hard-wired, they reason. Only last night they hung their heads, dejected with dark thoughts mostly existential and looked bleached on these oven-hot stones, but see how a single drop of rain could toss even rock-hearts for a swing! 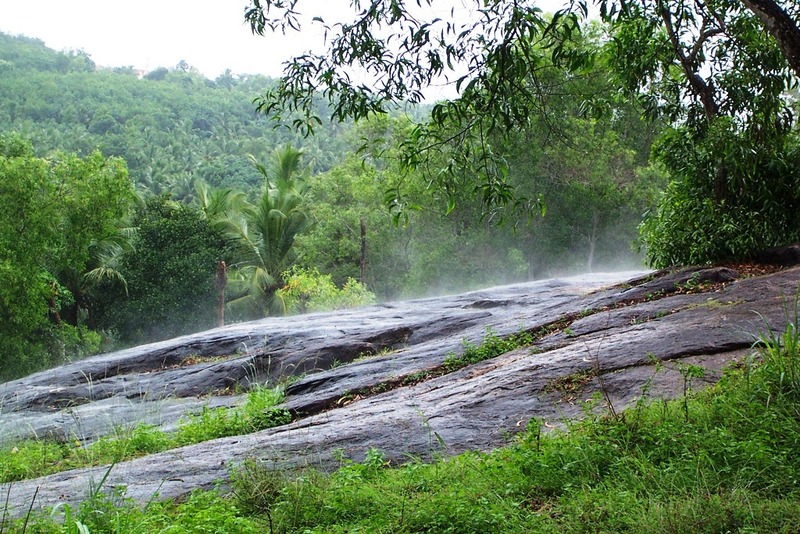 Chameleon-like rocks in a forest turn green after the rain! Millions of moss-soldiers rise up to welcome the shower. I read somewhere that moss is all glass edge after rain. See it is true! The puny stems and leaves are chiseled to trap as much water as they can in their labyrinthine grooves and those tiny spaces in between leaves and stalks. No wonder moss-beds glisten like Christmas trees adorned with all stars and bulbs, long after the rain. Moreover, the chemistry between the surface of moss cells and water is strong over short distance (Gravity rules bigger worlds, but if you have only a little space to manage, you can defy the basic laws of physics and hold your water– reads the inscription on the Tablet of the Mosses). Moss uses this advantage, mops up water and gets all its parts dunked in rain. But if unchecked, this indulgence with rain can spell doom for bodies inside the moss cells as they would soon find to their dismay that they have flooded out of the moss system, and are now part of the river system streaming out of the woods – the cost of too much elasticity (The Spaghnum species of moss can hold 20-30 times its weight of water. So it was once used to sponge off blood of the wounded during wartimes). Havoc does not last forever. The moss knows how to kick in repair mechanisms once it finds itself more water than moss. 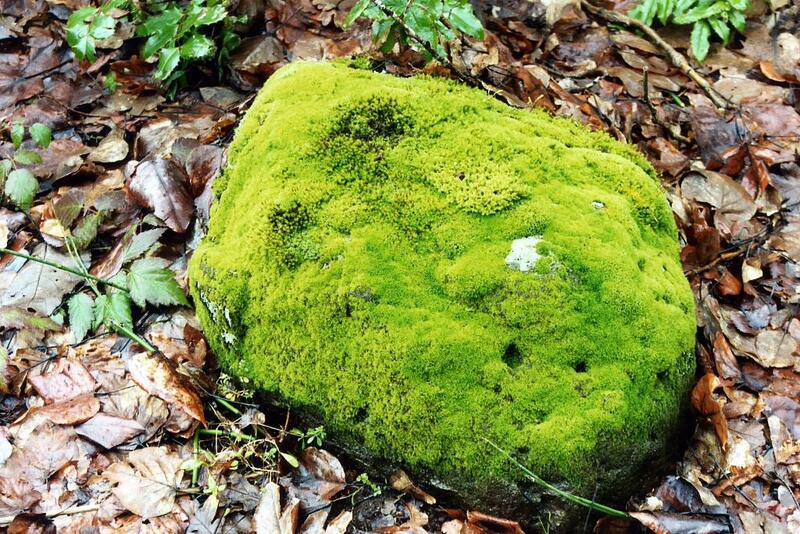 To regain sobriety after one night’s debauchery with rain, the moss replenishes itself with repair chemicals. It wraps up all its sensitive innards with harder walls and stays wary until it sees the watery honeymoon over. 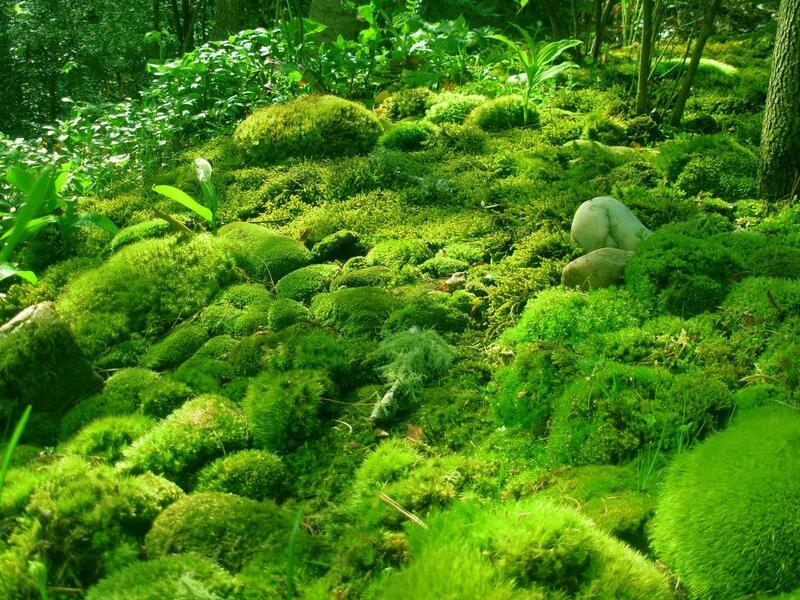 Mosses are simple; they are all surface. Taller plants and animals like us (even our homes) have internal conduits and pipes to transport water. Mosses, due to lack of space, have to wear all their aqueducts on their sleeves (even the male spores have to swim to their mates along rain water for fun). Even when the forest switches into desert mode, mosses like those camels have deep wells to dip into. One difference. 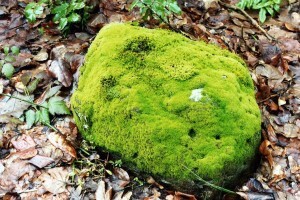 Unlike the hump in a camel, water is outside moss (Told you, mosses are all surface. You get what you see). You feel a nip in the air? Say thanks to this green mats. 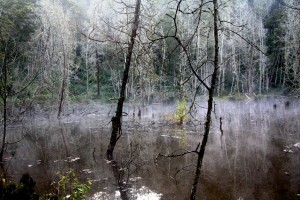 The woods stay humid even in summer because these verdant beds exhale water into the air. 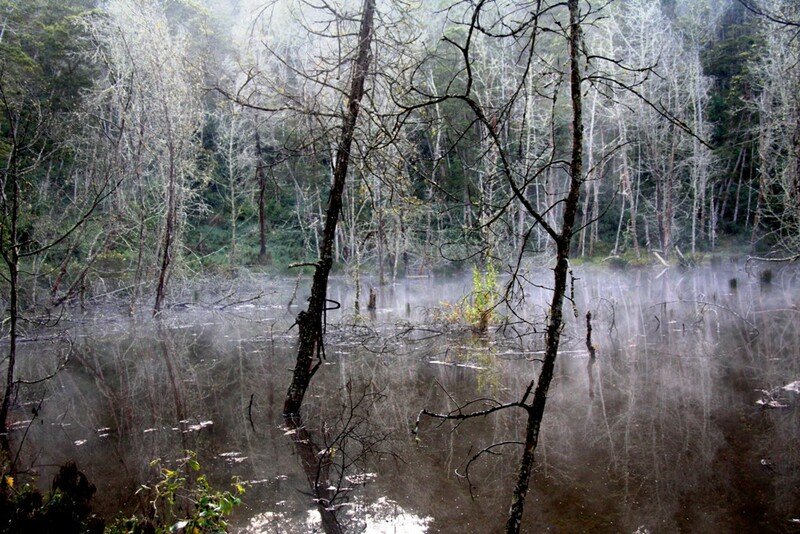 If the forest is large enough, this microclimate can spawn its own rain clouds high in the sky. Still we say moss is all dirt; we pour the handful of water back into the river and brush off the green muck clinging to our hands in disgust. The truth is: they do the dirt for us. We drink good water from a stream because mosses do the dirty job high on the mountain. They collect mud and silt. They draw poisonous gases from the atmosphere. They drink up industrial pollutions. New York city has recently decided to scrap a project for building a man-made purification plant. Instead it found it far more sensible and economical to protect the Catskill Mountains, which had been doing the thankless job for millions of years. Next time when you are in forest, look down and you’d see an invisible loom working beneath your sloppy feet, a loom weaving mats of mosses, leaf litter, and tree roots, a loom that comes alive the moment a rain touches the earth. See, the water is mossy. Dirty, eh? ← WHO SCARED THE THIEVES AWAY? Loved it Sir. So passionate. I used to love moss as a kid. I still find them beautiful. It was such a brilliantly written piece,loved your verbs!! Enikk English neram vannam ariyoola…. AAA kaduvaye kanda seen vayichathu muthal njan sarinte fan aan. ..